$12,000 CASH to the best dancers in the world. 14+ Countries confirmed. See the newest craze. Extreme Martial Arts Kicking & Tricking! See some of the best DJs in the world battle it out! 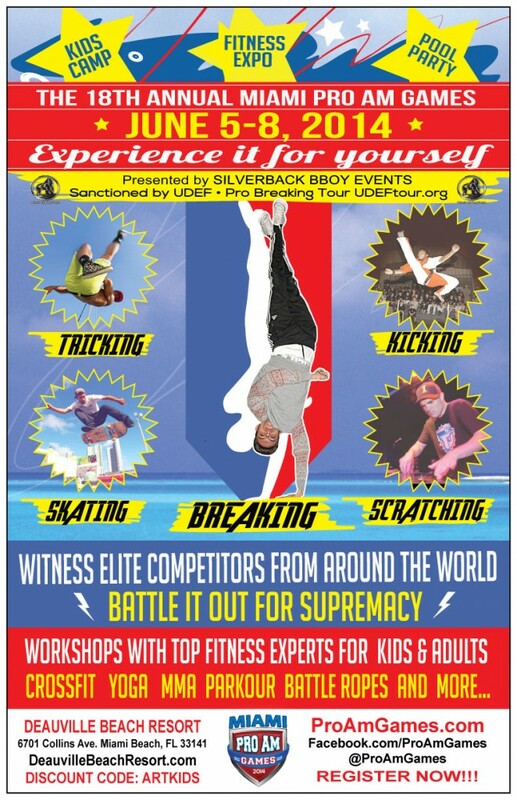 Intermediate, Pro & Best Trick competitions with some of the top skaters in the USA! Counselors teaching Martial Arts, Break Dancing, Tricking, Dancing, Art, Nutrition and much more. Kids ages 5-13 will get expert instruction in a wide variety of positive and fun activities.